Choose your meals and slot them into your fertility food plan. 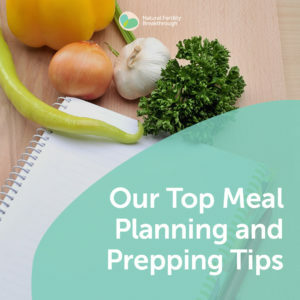 You will need about 30 minutes to complete the fertility foods plan yet rest assured it will 1) save you money, no more takeaway and less waste and 2) save you time during the week cooking and at the supermarket. Simply share your contact details to access the download. Our fertility food philosophy is an eclectic mix of paleo meets raw meets body ecology, with a good dose of Weston A. Price and Nourishing Traditions—fresh and packed full of flavour. Essentially it is all about eating delicious food to ensure greater fertility. 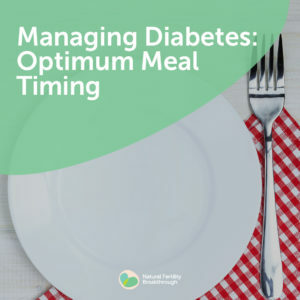 When it comes to meal planning, protein-rich meals are especially important for breakfasts, snacks and dinners. To select the best fertility foods remember to choose balanced, vital, healthy foods and snacks based on your proteins and low glycaemic vegetables like green leafy, and other non-starchy types. For more information about eating for fertility read Gabriela's list of 7 top foods to boost fertility. Shop the perimeter as that's where you'll find the important produce, fish and meat counters. 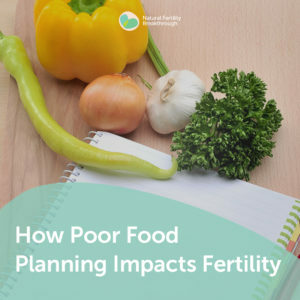 In a fertility food world there is rarely need to go up and down the aisles. Variety is key to healthy eating. Buy at least seven different vegetables and make sure you have plenty of variety in your produce – different colors, types, tastes and textures.